In 2007, the Casey Family Programs and the Center for Juvenile Justice Reform at Georgetown University partnered to address the unique issues presented by youth who become involved in the child welfare and the juvenile justice systems. 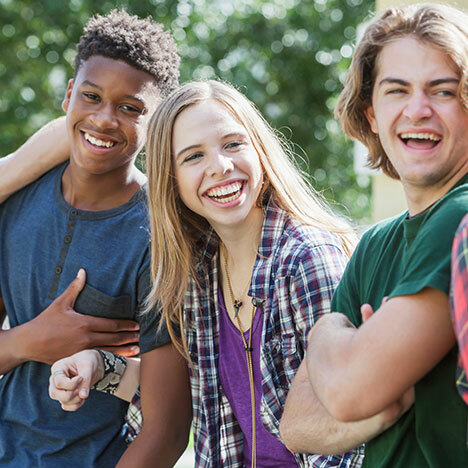 Together, they created the Crossover Youth Practice Model, which describes specific practices designed to help reduce the number of youth who crossover between systems, reduce the number of youth entering and reentering substitute care, and reduce the length of involvement in one or both of the partner systems. The Practice Model creates a nexus between the research and best practices known to child welfare and juvenile justice, the research related to Crossover Youth, and the lessons learned in practice from the Juvenile Justice & Child Welfare Integration Breakthrough Series Collaborative. Specifically, the model utilizes a strength-based approach that builds upon the principals of ensuring family engagement and equitable treatment at every level of the system. In 2012, representatives from the Mahoning County Juvenile Justice Center, Mahoning County Children Services Board, as well as other service providers (schools, residential placement facilities, mental health providers, police departments, and drug abuse treatment providers) began meeting with representatives from Georgetown University to review current practices in Mahoning County and to create appropriate practice to implement the Crossover Youth Model.